Charlie and Lydia Rose Bewley are now in rehearsals with director Anthony Biggs for the Jermyn Street Theatre production of The River Line. Charles Morgan’s 1950’s play set in World War II takes its name from one of the resistance routes used to pass downed allied pilots back to the UK and looks at the tensions caused by the ever present fear of betrayal. Keen to work together on this project that will see Charlie’s professional stage debut and in which the brother and sister play brother and sister it is a little ironic that the two characters do not actually appear on stage together during the show. Recent successes by the siblings, Charlie in The Twilight Saga and Lydia Rose in The Inbetweeners, mean that press interest in this production is very strong – though the Jermyn Street Theatre, under the watchful eye of Artistic Director Gene David Kirk, has consistently punched above its weight in recent years with productions such as A Cavalier for Milady and The Two Character Play (currently doing a short run at The Provincetown Tennessee Williams Theater Festival). SeatChoice is proud to be supporting this Jermyn Street Theatre production, part of their on-going goal of giving quality lost plays a new outing. 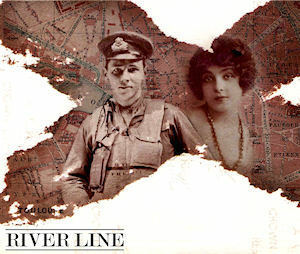 Tickets for The River Line can be found through SeatChoice but remember, this is a small theatre and a short run (4-29 October), if you’re as keen to see the show as I am you had better book soon!